Social media are a powerful way to disseminate information and especially important to help spread emergency messages, such as amber alerts for missing people for example. Facebook does already broadcast missing-person alerts in several countries across the globe – US, Canada, The Netherlands and South Korea. 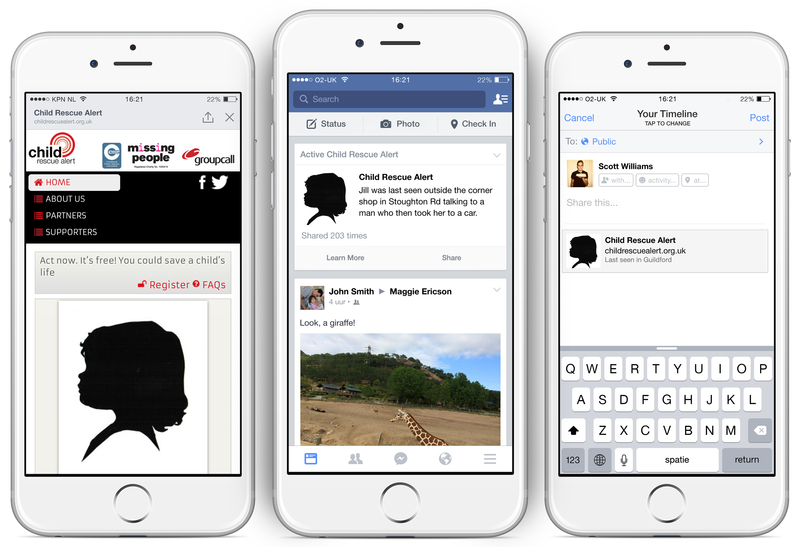 Now, the UK will join the list.
.@missingpeople and @Facebook have teamed up to bring missing children alerts to the UK. Facebook will be using new targeting technology to “target alerts to specific geographical areas.” These alert posts will look like any other, but will have the name and picture as well as other information that might help the public to recognise of the missing child. Shares will increase the post’s visibility. An alert will only be triggered if the National Crime Agency assumes that the missing child’s life is in danger.